So, back in 2000, Wizard used to do themed guides, and I just saw this one and thought I would share … Not that many hot characters have been created since, so it might be still be pretty much a solid list. What do you guys think? Anything to correct or add? I will start … Lobo's first appearance on Omega Men #10? What??? 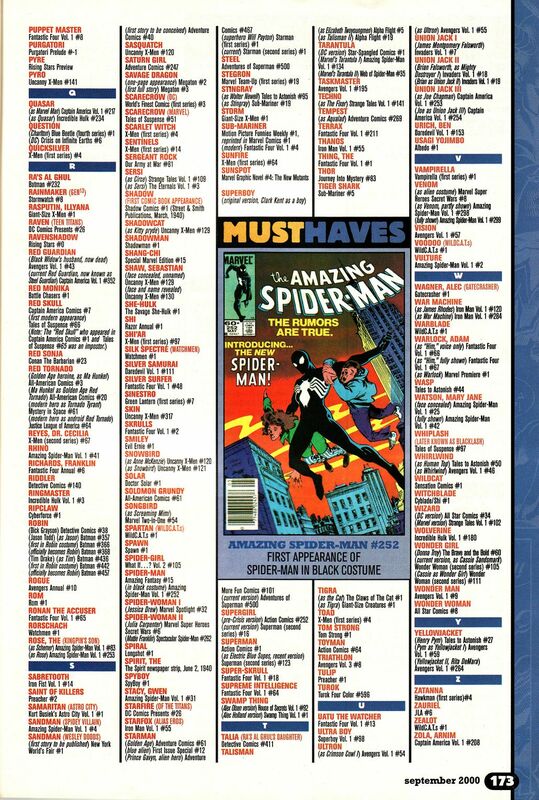 Ah, back in the days when there was none of this ‘preview’ as a first appearance BS. Isn’t Albedo #2 the 1st appearance of Usagi Yojimbo? Detective Comics 27 is a must have? I better start looking in the $1 bins! 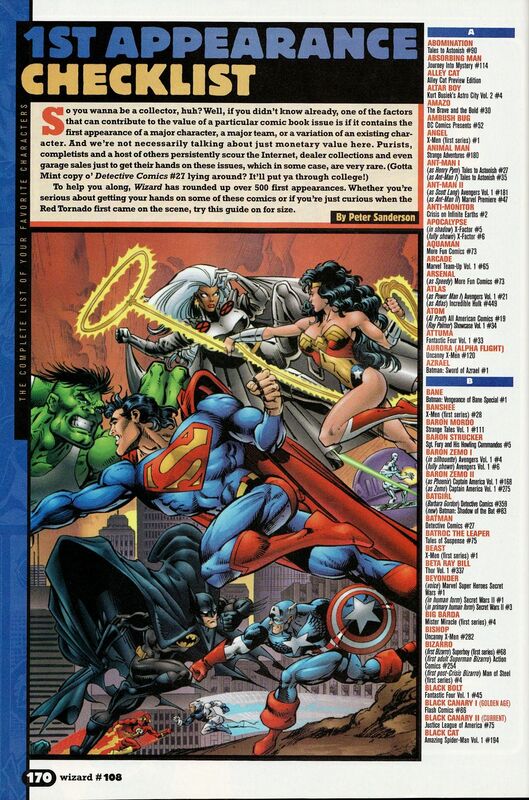 Interesting how they list Wolverine’s first appearance as Hulk 180 rather than cameo (I am in this camp as well). Yes Usagi’s first appearance is Albedo 2. Harley Quinn first appearance is wrong as well. Unless they ignored the Batman Adventures appearance. It took a long time for people to realize that BA 12 was the one. 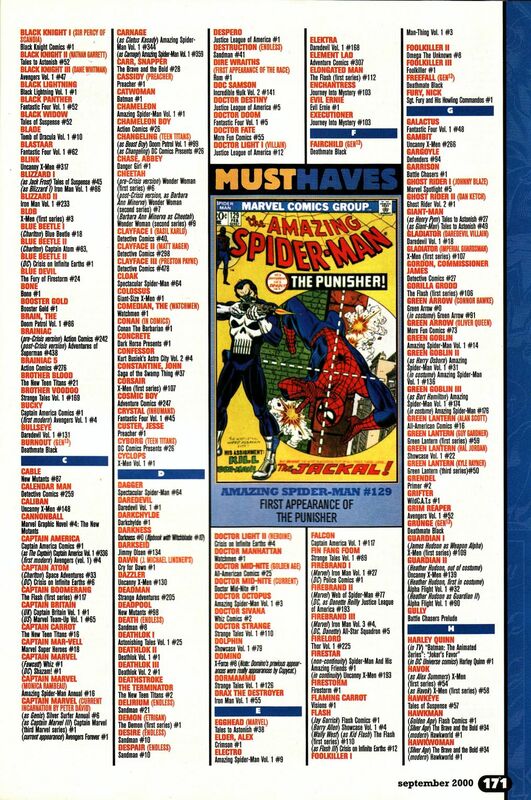 Who is this Punisher character and why is he a “must have”??? Carnage in Amazing Spider-Man 359? The cover to 361 is printed in the letter page. Anybody got a copy of Tales of Teen Titans 43 to look through? 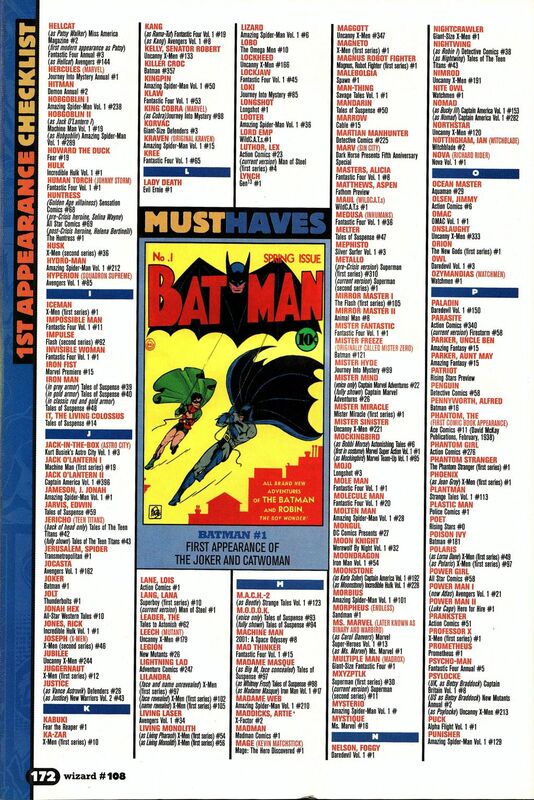 Could be a 1st appearance of Nightwing in there . . .